At the trail head I realised what I thought was a 5km trail turned out to be a little 1.9kms which made me feel a little silly with my boots and pack on! The trail is well sign posted with markers showing ‘points of interest’ if you get the map pack from the Heritage Society you’ll at least know what you’re look at! 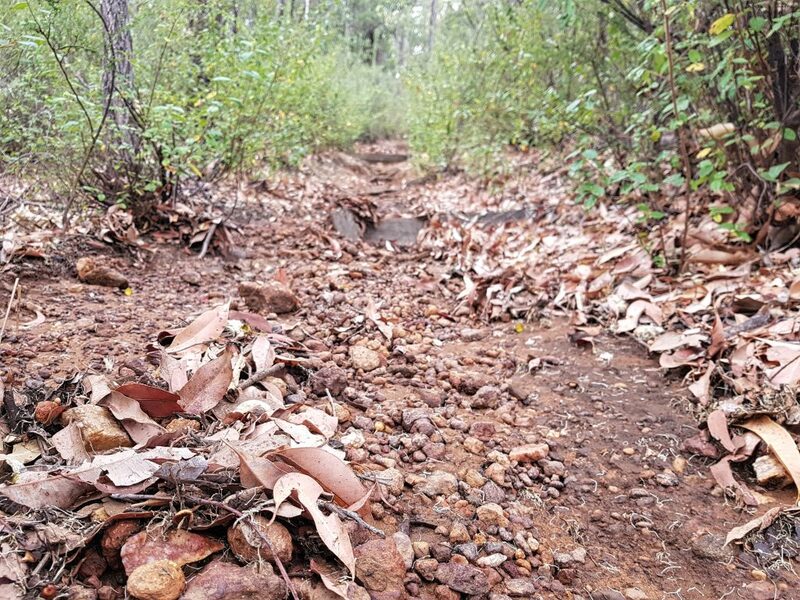 The trail is undulating and the recent deluge of rain had washed some silt down the trail making it a little slippery – but more fun! As you reach the base of the valley you cross Gooralong Brook; climbing once again to a small granite outcrop and on up to where Stacey’s Track meets with Kitty’s Gorge Trail. It was at this point that I realised that the trail was going to be much shorter than I anticipated as it was evident that a left turn would lead me back to the car so I decided to stretch my legs down to the Waterfalls on Kitty’s Gorge just past the Gauging Station at which point I turned heel and headed back to my car, taking my entire walk to just over 5kms total. 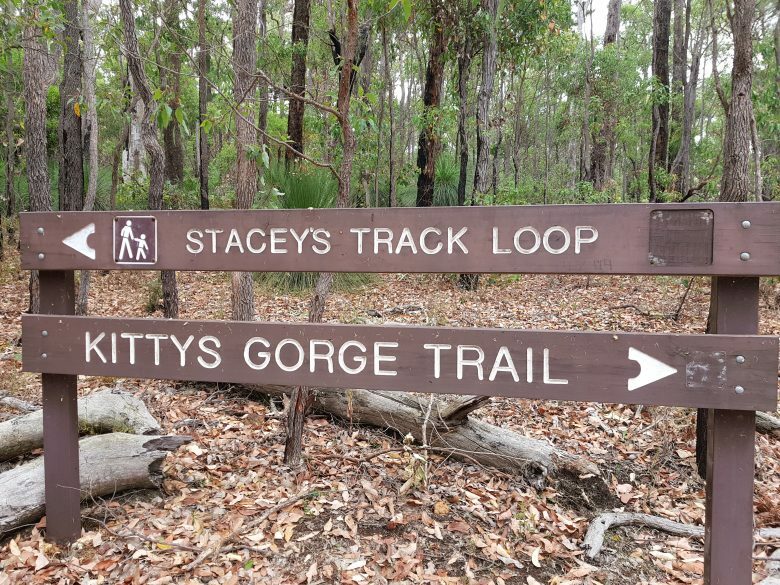 Stacey’s track would make for a great running trail with some flat sections, some short hill climbs and interesting terrain changes. As the first trail of the season for me I discovered how grossly unfit I am even on a short trail which was surprising since I’ve lost 25 kilos since I was last out on a trail which just goes to prove that you can be heavy and still be more fit than a smaller person who has hit nothing but the couch for the past few months. Looking forward to more challenging trail adventures in the coming cooler months. Would love to hear what you’re trails you’re planning to hit this season! I’ve run around Staceys a few times and even though it’s short, there’s that hill to get back up which way round it you go! I find no matter how I’m feeling that I cant run all the way up! I did run Kitty’s Gorge to Serpy Falls (and about 1/3 back before walking) the other week and that was great fun, but so very hot! 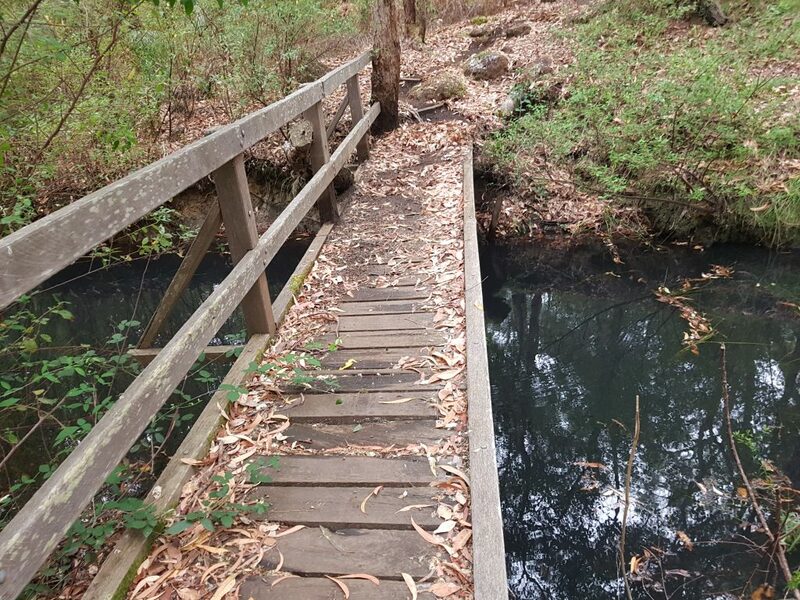 Cant wait for autumn, cooler days and some rain to charge the brook a bit!